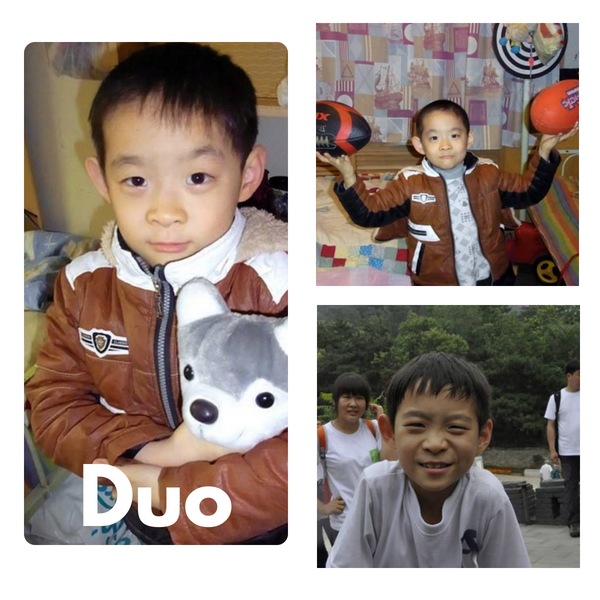 Duo Duo has a family!! His time is running out! Soon he will no longer be eligible for adoption and will lose his chance for a forever family. His special needs: leg amputation (due to deformity), a slight form of spina bifida, and scoliosis. He has been wearing a prosthetic leg for a number of years now. His Spina Bifida is so mild that they only found out about it while doing a scan. He is mobile, continent, and has no outward signs of having SB. His file describes Duo as a “smart boy, who has a quick reaction, swift movements and is thoughtful”. Personality: “a witty child, and he always has a lot of interesting ideas and plans in his mind, which get him into all kinds of troubles, just like any other little boy his age”. 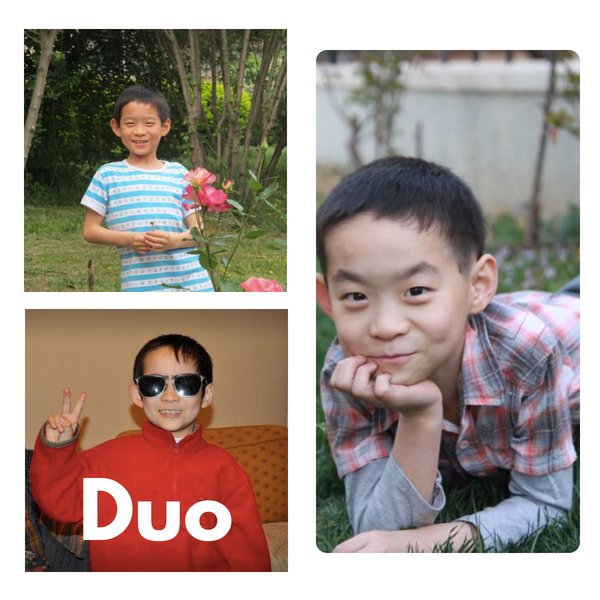 Education: “Duo goes to grade four in a public school in Beijing, and his grades are in the middle range. He is fascinated with animals, and he can talk about them for a long time, as long as someone is happy to listen. He loves reading very much, too! Some of his friends jokingly call him an “encyclopedia”. 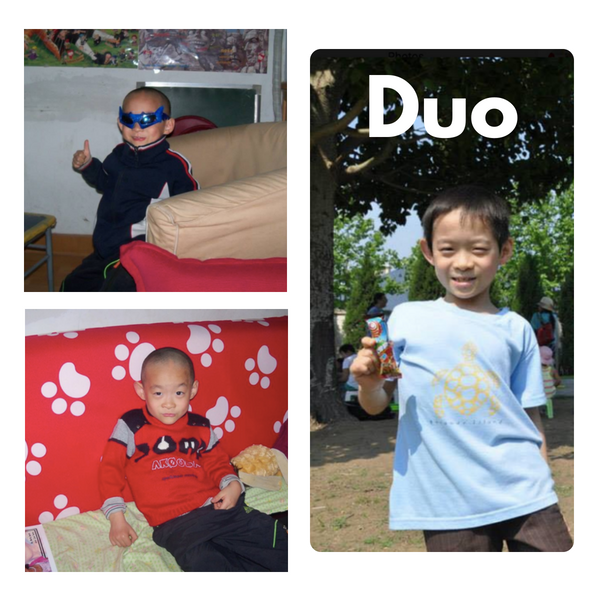 Home life: He has been under the care of the same organization since he was only four months old, so the family that adopts him will be able to get tons of old pictures and information! The organization desperately wants him to find a family!